Going to have to stop in here relatively soon and take a look! Still...I guess if they get Predakings for $30 or $50, I guess I'll still be able to get one for less than $150, even though I hate to think I'm helping a scalper. o.supreme wrote: Still...I guess if they get Predakings for $30 or $50, I guess I'll still be able to get one for less than $150, even though I hate to think I'm helping a scalper. Worth mentioning that these came from suppliers, not from TRU's left over stock, that stuff is still out there (and could still end up in places like T.J.Maxx, Ross, and other surplus/salvage stores). This is the stuff that was planned to be sent to TRU and canceled. And they didn't pay $200M for this, that's the retail value. Considering what they sell stuff for it might be closer to a quarter of the value, like $50M. I was there a few days ago and they didn’t have anything yet, but I imagine in a few weeks we could start seeing stuff. Still hoping Thundercracker will show up! Great, let me know if they get any Leader Class Rodimus Primes for $20-$25 otherwise meh! 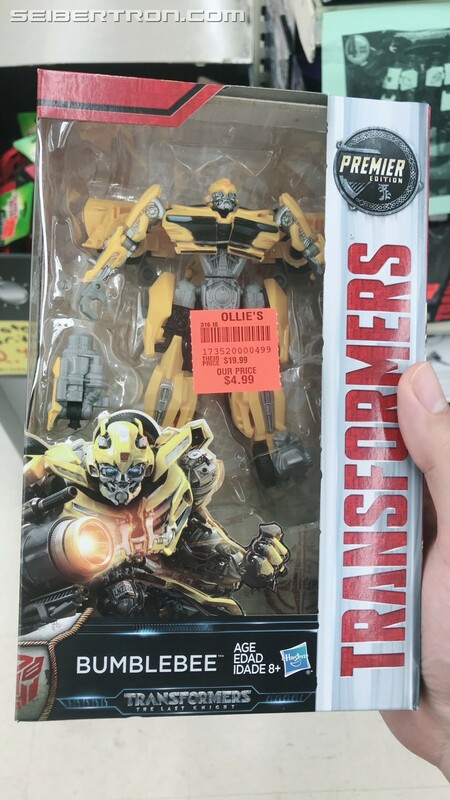 Thanks to an anonymous sender, we have news that Ollie's, the bargain outlet that was rumored to be getting a massive Transformers overstock for the 2018 Holiday Season, has now restocked Transformers, and they have a pretty massive selection! 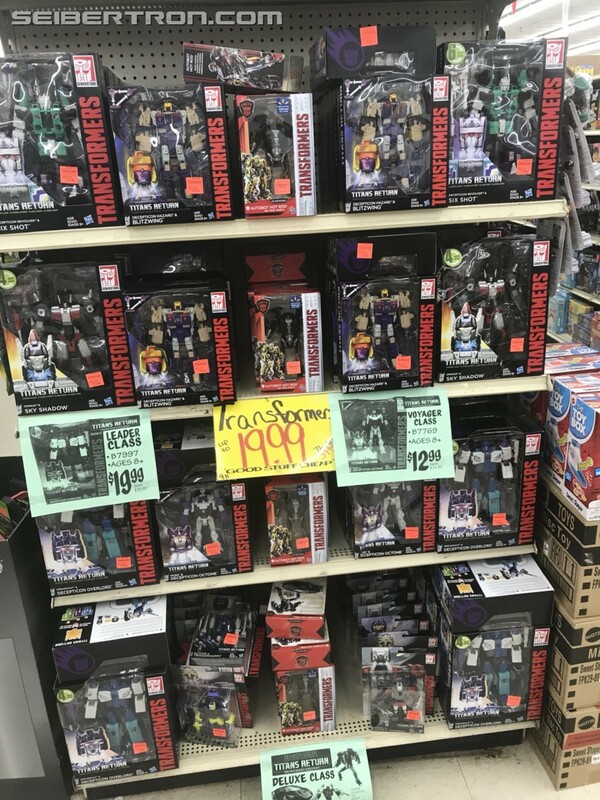 These pictures come to us from an Ollie's in Steubenville, Ohio, and included in their restock are The Last Knight wave 3 deluxes, including the hard to find Bumblebee figure; The Last Knight deluxe Hot Rod, which has shown up at multiple bargain stores as of late; Titans Return Leader class Sixshot, Sky Shadow, and Overlord; Titans Return Voyager Blitzwing and Octone; and Titans Return wave 3 and 4 deluxes. Not seen but mentioned was Titans Return Trypticon, which was going for that crazy $49.99 price tag as was previously reported. Check out the images below, and head on out to your local Ollie's and let us know what you find! That is crazy! Legions and swarms can be built at the prices to create epic battle dioramas! I have never seen an Ollie's in my life. And now I live in Japan. You'd think Transformers would be just everywhere here, but absolutely not. Can be very hard to find anything "new", and old stuff is exorbitantly expensive outside of some particular Tokyo locations. I understand most of these came from the toys r us buy out. But I find it a little strange the Walmart exclusive hot rod ended up there. I was waiting and waiting for it to show up in stores. Finally cracked and got him online. Why wouldn't Walmart sell him in there stores half off or something. Instead he ends up there. Somewhat of a sad eulogy to an iconic US toy store. Not to worry neighbors to the south. Visit Canada as Toys R Us survives here and she will continue to receive my business and thrive. I don't believe all of this stock is from Toys R Us directly--that's just the line they are using. 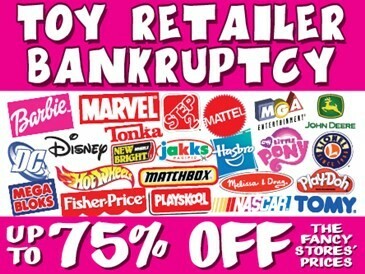 This is all stock that Hasbro was AFRAID to sell to Toys R Us, along with some overstock. If they had sold it to Toys R Us, it would have been bought on credit. And what happens to credit debts once someone files bankruptcy? You guessed it--it doesn't get paid. Just to manage expectations, my store only had select deluxes from Waves 3 and 4. Lots of Triggerhappys, Kroks, and Quakes, but none of the animated movie characters or Topspin. I don't know if they will add stock at any point, and I may go back to see if they got any Leader class figures, which weren't in stock last week. Black Bumblebee wrote: I don't believe all of this stock is from Toys R Us directly--that's just the line they are using. 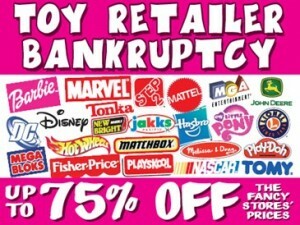 This is all stock that Hasbro was AFRAID to sell to Toys R Us, along with some overstock. If they had sold it to Toys R Us, it would have been bought on credit. And what happens to credit debts once someone files bankruptcy? You guessed it--it doesn't get paid. Correct. They said this was stock intended for TRU, not stock from TRU. Hot Rod is just coming along for the ride since Walmart never put him in stores and Hasbro probably ended up with a surplus of them judging from them showing up at other discount stores. But this means the actual leftover TRU stock is out there somewhere. I look foward to seeing where that ends up because I imagine there was a lot they couldn't get into stores in their final days. 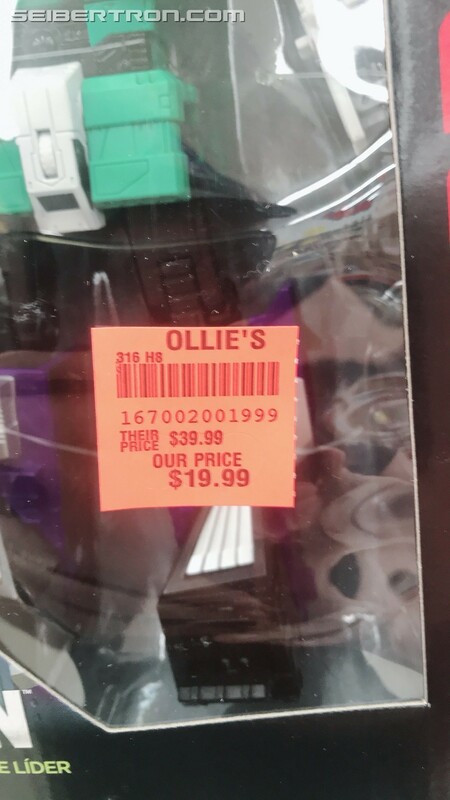 apparently, the only ollie's stores are in indiana and wisconsin. and there's only 5 total. anyone feel like a roadtrip?